We are open for retail sales daily from noon-5pm. See April. 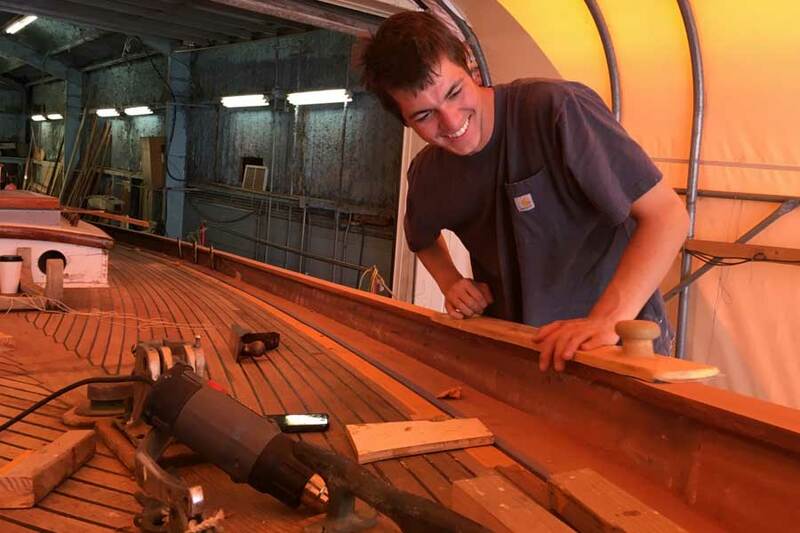 Wooden Boat Restoration & Repair for classic yachts and work boats in Puget Sound, San Juan Islands, Seattle, & Vancouver. 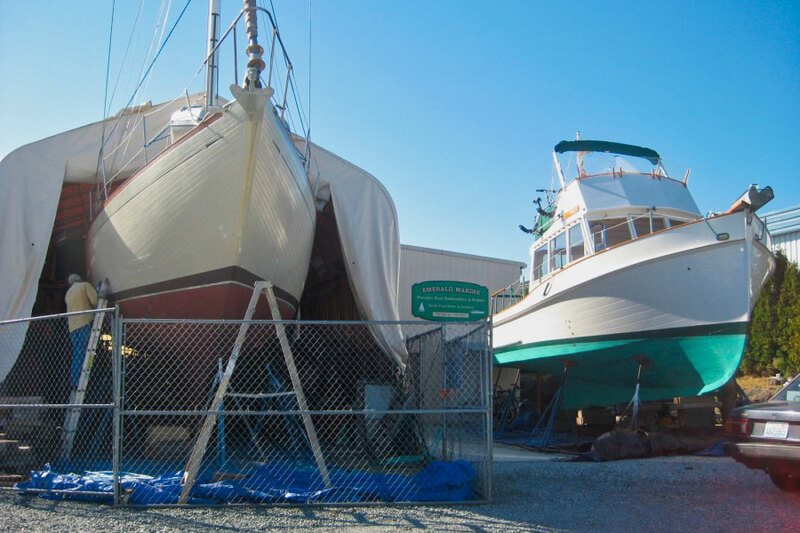 Specializing in classic wooden boat repair and restoration - Emerald Marine offers safe and convenient haul out, inside workspace with a shop and crew dedicated to wooden boats. Emerald Marine also specializes in custom woodworking projects for all types of hulls, including fiberglass and steel boats. We have installed custom teak decks, cabinets, headliners and cabin soles. In addition we’ve designed and built custom interior features such as bunks, storage, aft deck fold down tables and wood instrument panels. The warmth of wood is for everyone. 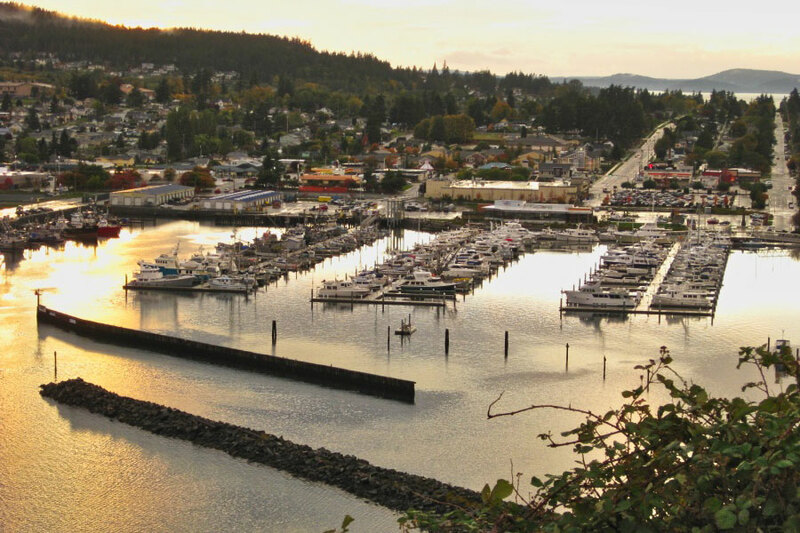 We are centrally located in beautiful Anacortes, a short distance from Seattle and Vancouver. 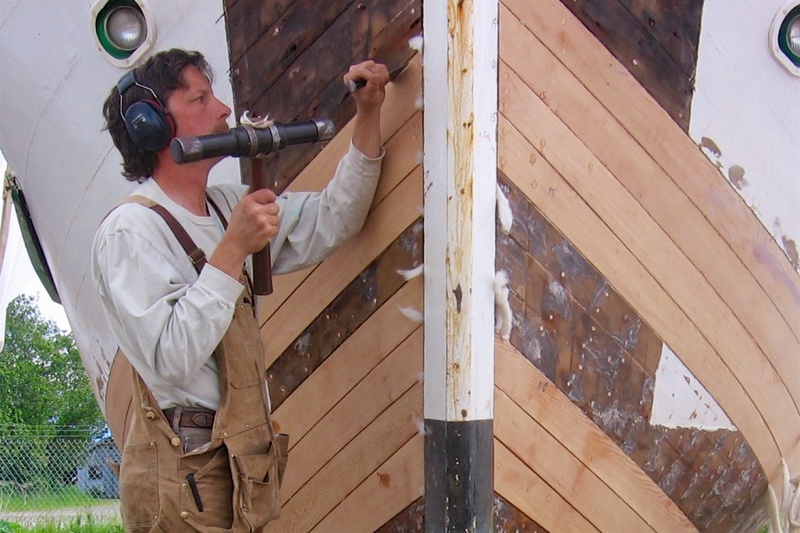 Contact shipwright Andrew Stewart about your vessel’s needs. Andy and his exceptional people can do anything you can imagine. I brought Andiamo in with a very weak and sad teak deck and she left a completely new girl. The quality of workmanship and attitude is second to nowhere in the marine industry I have ever found. They are truly craftsman. After 20 years and many projects large and small, including following Andy from Olympia to Anacortes, I wouldn’t consider letting any other yard touch SYMRA - regardless of the distance from her home berth in Tacoma. When you have a wood boat you need help. The guys at Emerald Marine have the broad knowledge base and experience to give you the help you need to keep your wood boat Bristol. Thank you Emerald Marine! We have cruised as far north as the Broughton archipelago in BC and have crossed some significantly rough water. When things are really nasty we have often expressed how nice it is to know Andy has been keeping StormKing strong and that we are informed about the condition of our boat. Every repair has been executed beautifully.